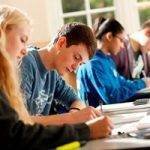 Group tuition – How to Pass GCSE and A Level Exams! 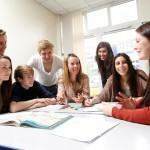 For parents looking to help their child in the run up to GCSE and A Level exams, two of the most popular options are small group tuition courses and private 1:1 tutoring, either face to face or online. For an objective view of the main factors, read the full article here. Sessions normally provided by specialist companies, schools or tutoring agencies. Class size and approach varies significantly. Sessions provided by individual tutor, either face to face or online. Services offered vary significantly, particularly online vs face to face. Generally scheduled to reflect student free time, either after school or school holidays. Some providers offer residential option to increase accessibility. Generally scheduled to accommodate family schedules, including after school hours. Tutor will often come to student’s home. Online tuition may be affected by broadband reliability. Varies depending on provider – only a small number tailor courses to the needs of individual students or offer flexibility on course content. 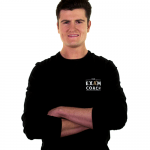 Enables maximum tailoring, subject to skills and approach of tutor. Ability to tailor online tuition varies between providers. Depending on group size, can offer personalised teaching and focus. Enables peer learning and support. Offers personalised teaching and focus, subject to the tutor’s ability to build good student relationship. Group work/learning is fundamental to this approach, making learning more fun, building camaraderie and increasing student motivation. Offer lively, stimulating atmosphere. Sessions normally held in class rooms with good facilities, away from distractions. Normally in home of tutor or student. Tutors normally look for quiet area and “ban” mobiles/social media. Can be excellent depending on group size and tutor. Small groups enable tutors to tailor their approach and give personalised help to individuals. Enables extra learning via group interaction. Less intense and more varied, enabling students to remain focused for longer. Varies but can be excellent – depends on quality and skills of tutor. Students may struggle to maintain concentration as sessions can be intense. Generally good as tutors usually full-time workers, committed to teaching. The best providers publish tutor selection criteria and have good track record/reviews. Highly variable. 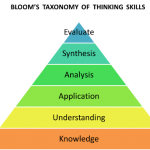 In absence of recommendation, difficult to assess tutor capabilities prior to starting. Similar or less than a 1:1 tutor. Value for money generally good for provider with established track record. Varies significantly by area but tends to be most expensive option. Value for money variable depending on above factors. So where does Justin Craig fit in? At Justin Craig, we offer small group tuition, with an average of six students per class. All our courses are tailored to the needs of individual students and led by experienced, inspirational tutors who are subject experts – we employ only the best tutors. Our courses are designed specifically for Year 10-13 students studying for their GCSEs or A Levels. Students rate our courses highly, with 96% rating us as “good to amazing” last year. Feedback from past students is that our courses were pivotal to their studies, enabling them to stay on track and making them feel more confident by boosting knowledge and skills. With 35+ years experience, our track record is proven and parent feedback is excellent. Every year, around two thirds of our customers are either recommendations or previous customers. We have a comprehensive range of 3 and 4 day courses running during every school holiday, giving students the opportunity to cover different subjects at different points in the year. Our Easter courses are proving more popular than ever this year, so we recommend that you enquire early to avoid disappointment. When Should You Start Revising for A Levels?